Upma, a simple breakfast and tea-time favorite for Indians made from semolina, is now gaining popularity in the US after Chef Floyd Cardoz prepared this winning dish in the finale of Top Chef Masters. His dish was essentially a twist from the traditional Indian recipe, made with mushroom, kokum and coconut milk. Heat a pan on a medium flame and roast the semolina lightly. Stir frequently and do not allow it to brown. 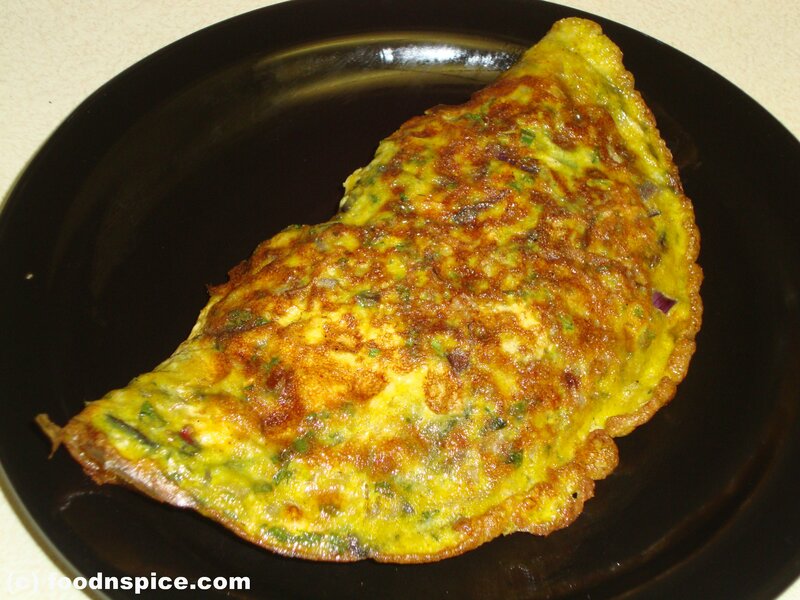 Once done, remove in a plate and keep aside. Heat oil in a pan. Add mustard seeds, cumin seeds, curry leaves and green chillies. When the spluttering stops, add grated ginger and stir well. Add the onions and fry till the onions are translucent and soft. Add hing and mix. Add the hot water, a little at a time, stirring constantly to prevent any lumps from forming. 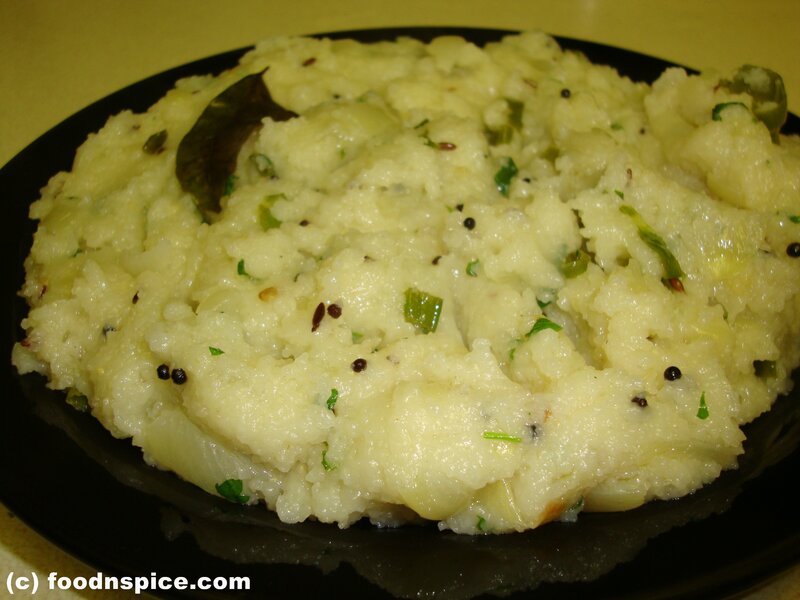 Simmer and cover and cook till the Upma is like a very thick porridge. Turn off the heat. 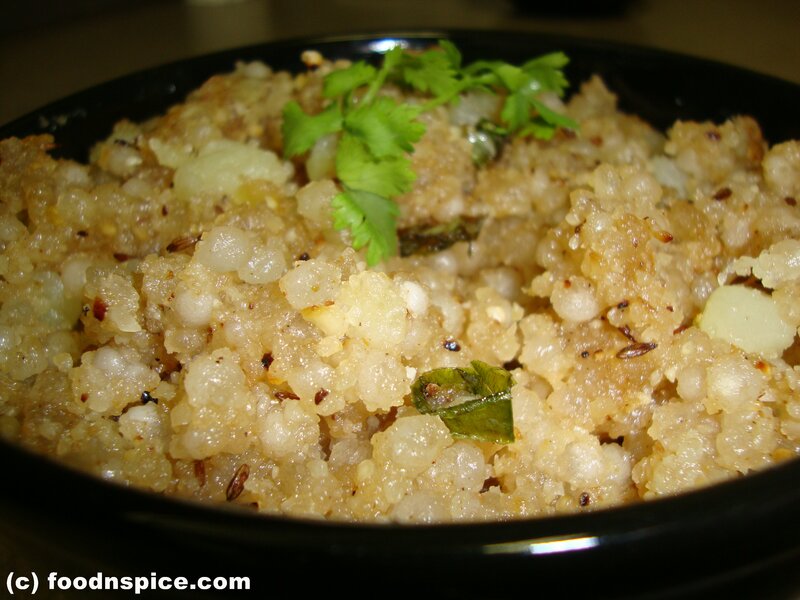 Add lime juice over the Upma and mix well. Garnish with chopped coriander and serve piping hot. Wash puffed rice and drain the water completely. Keep it aside for 10 minutes at room temperature. Heat oil in a pan, add mustard seeds, curry leaves, asafoetida, green chilies and onion. Cook for 2 minutes. Then add turmeric powder, red chili powder, sugar and salt to it. Add puffed rice. Mix it thoroughly. Cover the pan and let it cook for a 2-3 minutes. 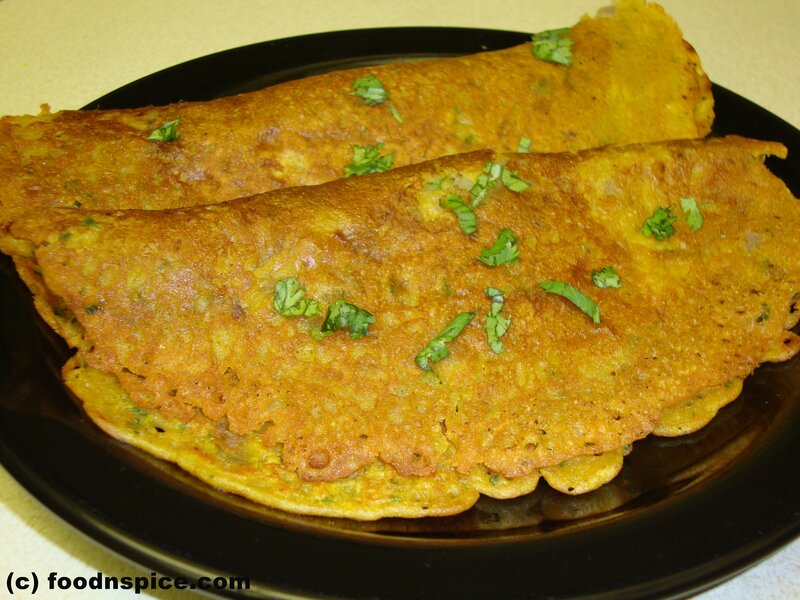 Garnish it with coriander and lemon before serving. Wash and soak sabudana in water just enough to loosen and light for minimum 2 hrs. Chop the potato into small cubes. Heat oil in a deep pan and add cumin seeds and green chillies. Add cubed potatoes and saute for 2-3 mins. Then add the sabudana mixed with the groundnut powder, salt and sugar. Mix well. Cover and cook on low flame for 5mins. You can add 1 tsp lemon Juice for taste. 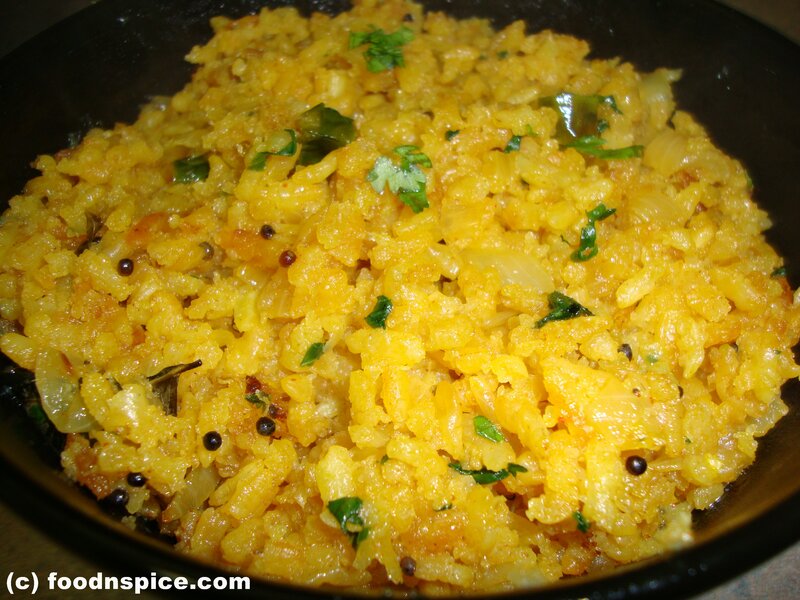 The hot Sabudana Khichadi is ready to serve. Roast the oats in a pan without oil for about 3 minutes and keep it aside. Heat some oil( or ghee) in the pan and add mustard seeds, green chillies, chopped onion and saute till the onion is tender. 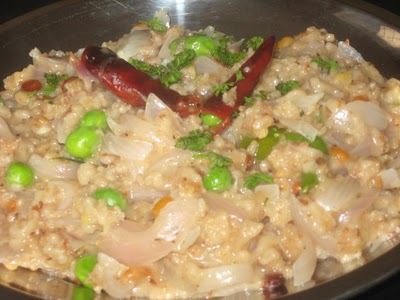 Then add minced ginger, curry leaves, asafoetida,salt and peas. Add water and allow it to boil for some time and then add the roasted oats. Keep stirring till all the water is absorbed and oats are thoroughly cooked and serve hot ! !